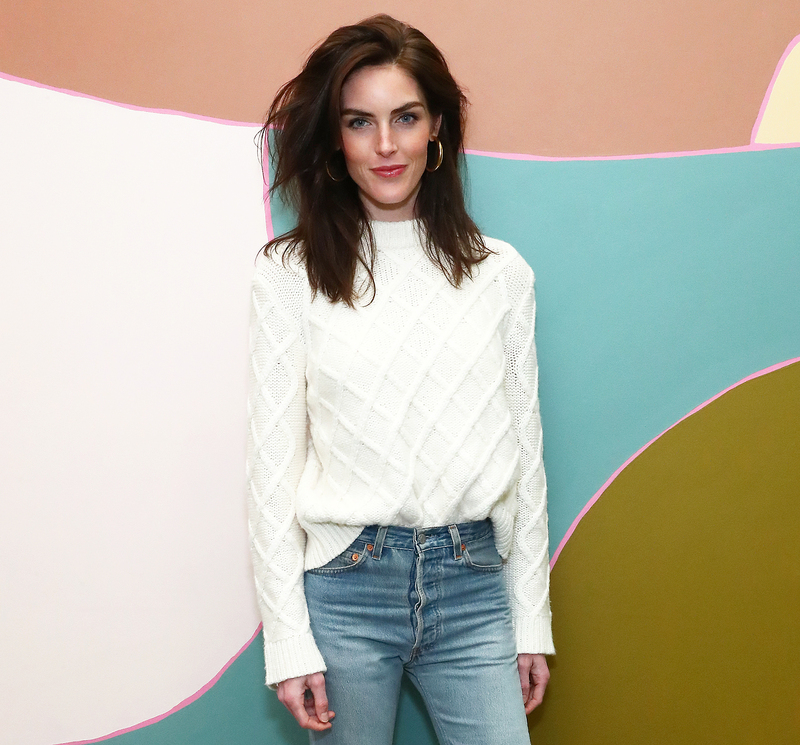 iCelebs were out and about this week — from Olivia Munn hosting an intimate luncheon, to Amber Heard ahopping for vintage treasures, to Lenny Kravitz and Lionel Richie enjoying dinner together. Read on to see more of what the stars have been up to! — Emily Ratajkowski and The Kooples celebrated the spring/summer 2018 launch of Emily by The Kooples handbag collection at Chateau Marmont. — Jaime King sipped on Belvedere Vodka cocktails while kicking off Art Basel at WWD’s “Art of Fashion” event at Paradise Plaza in Miami’s design district. — Sasha Farber and Emma Slater hosted an Airbnb Experience where they taught a private dance class to guests and helped them choreograph a routine in L.A.
— Lea Michele rocked a Cotton On denim jacket while out and about in L.A.
— Hilary Rhoda and Cynthia Rowley shopped at The Domino Holiday pop-up shop in Soho while sipping on smartwater. A portion of all proceeds from sales were donated to Habitat for Humanity. — Kate Bosworth attended the LAND of distraction launch party in West Hollywood. — Amber Heard shopped at A Current Affair in Downtown L.A.
— Issa Rae drove an Audi R8 on the Willow Springs Raceway for the world’s fastest AMA, “Think Faster,” with Audi and Reddit. — Lisa Love joined Barney’s New York and The Haas Brothers to celebrate Haas for the Holidays in Beverly Hills. 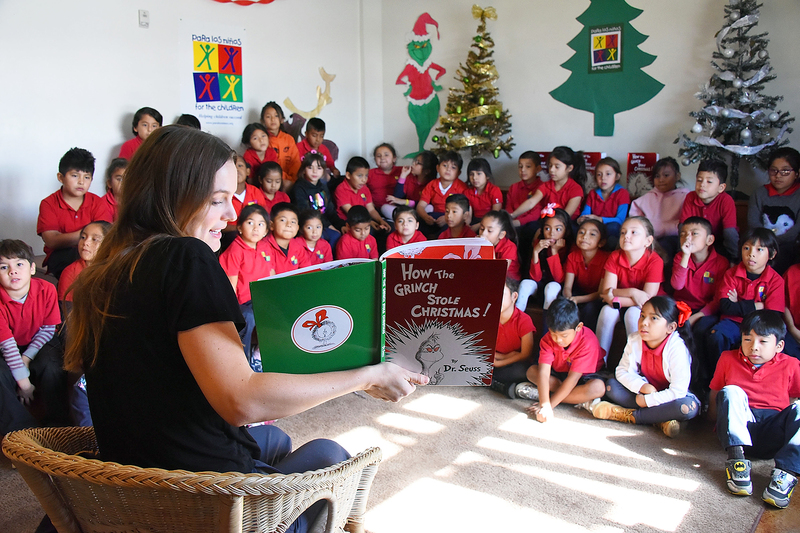 — Leighton Meester, a Feeding America Entertainment Council member, surprised students at the Para Los Ninos school and read Dr. Seuss’ How The Grinch Stole Christmas! and served lunch. — Hillary Rodham Clinton and Yara Shahidi took the stage at the Teen Vogue Summit in L.A.
— Bjork performed at the Ketel One Family-Made Vodka art & culture celebration during Art Basel Miami. — Lenny Kravitz and Lionel Richie enjoyed dinner at BOA Steakhouse in West Hollywood. — Jerry O’Connell attended the Brooks Brothers x St. Jude Annual Holiday Party in Beverly Hills. — Nicole Richie wore Martin Katz earrings to The Kennedy Center Honors in Washington, D.C.
— Goop, Matthew Morrison and Zach McDuffie celebrated Sherpapa at goop GIFT at at Lido Marina Village. — Lucy Hale teamed up with Words With Friends 2 and Children’s Hospital Los Angeles to spread holiday cheer and surprise a Words With Friends fan with an unforgettable experience. — Olivia Munn and Chloe Gosselin hosted a luncheon to celebrate Gosselin’s spring/summer 2018 collection at Lucques in West Hollywood. — Lady Gaga relaxed at the Confidante hotel, part of The Unbound Collection by Hyatt, in Miami. Hottest Bikini Bodies of 2017: Kendall Jenner, Bella Hadid, Olivia Wilde and More Stars! — Amar’e Stoudemire and NFL Hall of Famer Joe Namath celebrated the opening of Miami’s longest running art fair, Art Miami, and watched Jason Newsted of Metallica present his exhibition, RAWK. — Harry Winston hosted a ribbon cutting ceremony at their West Coast flagship salon in Beverly Hills. — Jordin Sparks surprised guests at the Madison Square Boys & Girls Club in the Bronx for an exciting event on behalf of U.S. Cellular. — The Henry family showed each other love at Thomas Henry’s star-studded $4 million birthday celebration at Hotel Discotheque in San Antonio, Texas. Migos and J. Balvin performed and Diplo and DJ Ruckus put on special sets during the night. — To celebrate Bravo’s new season of Top Chef, Postmates is is offering free delivery nationwide using code TOPCHEF in the app December 6-8 and select deliveries from Top Chef contestant-owned restaurants in L.A. are being delivered by robots.